Tired of losing and searching for those door keys? Fed up with changing locks just because someone has misplaced their key and you are worried about security? Why not consider a more secure, keyless and automated lock for your door? From August comes a unique smart lock, the August Smart Lock Pro 3rd Generation, packed with a lot of impressive features to finally put your mind at rest as far as your home security is concerned. The August Smart Lock Pro, 3rd Generation looks like your everyday door knob actually. It is designed to fit snugly with most deadbolts and you don’t have to throw away your current door keys. Available in silver color, it measures 3.4 x 2.2 x 3.4 inches and weighs 13.9 ounces. It is powered by 4 AA size alkaline batteries (which are included with the package). When you compare the functions and features of the August Smart Lock Pro 3rd Gen to its price, you will agree that, compared to its peers (such as the Nest Yale), the August Smart Lock Pro, is indeed a good value for its money’s worth. Installation: The device comes with DoorSense Sensor, mounting hardware and lock adapter. It can be easily installed with a screwdriver in about 10 minutes and connects to the August Home App on your phone. The app is available on Apple Watch, Android, and iOS devices. DoorSense™ Technology: This allows you to know the status of your door – whether it is closed and or locked. You install DoorSense™ magnet sensors in between your door frames and they can detect the status of your door and lock and transmit the same to you anywhere in the world. So you never have to worry whether or not your door is closed and shut. • Lock or unlock the door. • Track who is using your door and when. • Grant access to family members, guests or service technicians or personnel. Voice Control: When connecting to an Alexa device and a hub you can control the device by your voice. 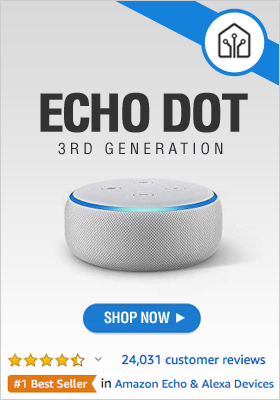 The device can also connect to Siri, Alexa, Airbnb, and Google Assistant. Auto-Lock: This feature sets August Smart Lock different from most Smart Locks (like the Nest Yale). Using Wi-Fi, GPS and Bluetooth low energy, the Smart Lock can set up a “geo-fence” perimeter around your home. This means that once you are within that perimeter, the device senses your presence and automatically unlocks the door. When you are out of that perimeter (i.e. out of your home), the device closes and locks your door. So you don’t have to bother looking for those keys inside your purse again as you walk towards your door or ever wonder again if you-know-who remembered to leave the key under the flower pot. Just walk towards your home door and, open sesame (well, you don’t actually say those words), your door is opened. 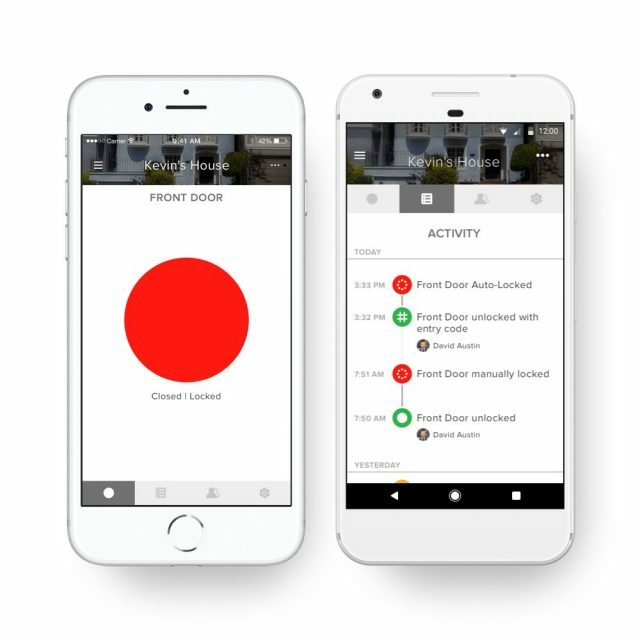 Remote Door Control: When connected to an August Connect Wi-Fi Bridge, you can control your door from anywhere in the world! Yes, you can! So perchance you are still at the mall or waiting your turn at the saloon, and the house cleaner is at your door to clean your home and she just happened to forget our key at home, miles away. Or the neighbor is ready to take your dog for its daily walk in the park. No problem. Simply issue here a passcode from the August Home app and they can use that code to enter your house. The August Smart Lock allows you to set the duration of any such code issued (always i.e. the code is for continuous use; recurring – for use on a particular day and time; or one-time, for single use). Also, there is no limit to the number of passcodes you can issue (just don’t go overboard with it). Security: The Smart Lock uses at least two authentication factors. It also uses Bluetooth Energy (BLE) technology encryption as well as a 2nd encryption. This secures your home and ensures that only you can control your door lock and only through your phone. And in the event of you losing your phone, you can disable the August app, all virtual keys, and passcodes at lostphone.august.com. 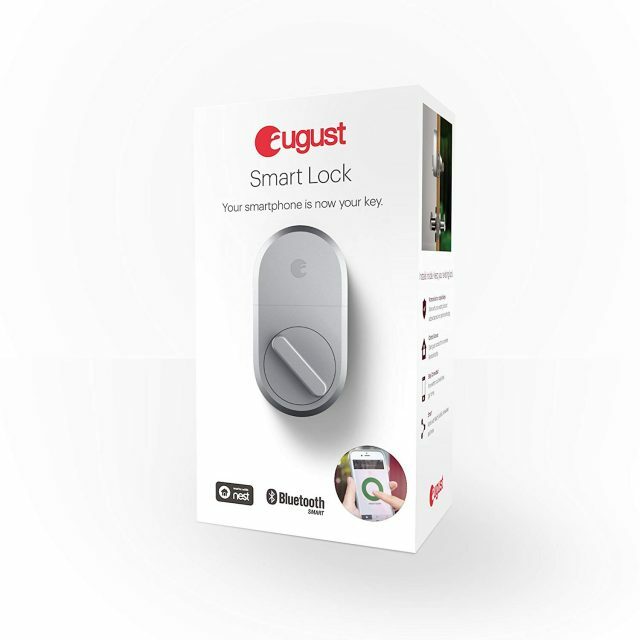 Integration: The Smart Lock integrates with a number of devices such as August Doorbell Cam Pro and technologies such as Bluetooth, Apple HomeKit and Z-wave Plus connections. The latter allows the Smart Lock to integrate to a number of home security devices and allow gives it an operating range of 150 meters, 50% improved battery life and 210% more bandwidth. Pricing: At $180, the August Smart Lock Pro 3rd generation is the cheapest smart lock you can find at its price with all the features embedded in it. The Nest x Yale sells for $265 and does not have the features built into the August Smart Lock Pro 3rd Generation. You cannot find any Smart Lock which has many wonderful features as the August Smart Lock Pro 3rd Generation and at this price. 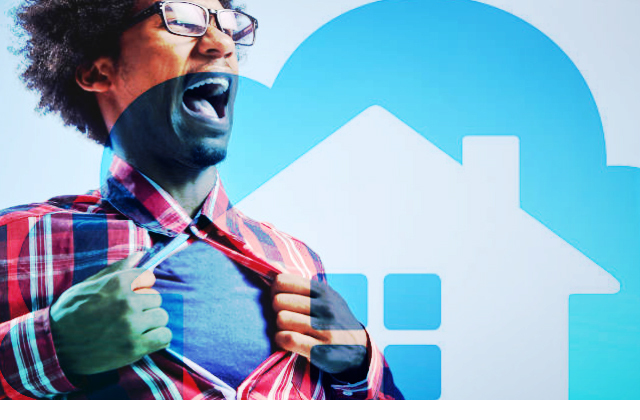 You will never have to worry about the safety of your family or of losing a key again.